Andrew Maguire Gold Trading is a trading name of Goldstar Global Ltd, (GSG). Andrew Maguire Gold Trading is a service formed with the explicit purpose of the education of precious metals traders. Goldstar Global Ltd is a wholesale bullion trading company providing the most advanced solution for the trading and storing of precious metals. Andrew Maguire, Independent London Metals Trader and Analyst, is internationally renowned for his unique ability to read the precious metals market, with his specialist knowledge and experience gained over 40 years trading in financial and commodity markets, is the expert in these highly complex and competitive fields. Andrew directly oversees all of Goldstar Global services. Wholesale Market analysis based upon large order flows, liquidity providers and liquidity takers. Identifying where technical levels confluence with fundamental/wholesale limit orders to discern the highest probability entries for our short, medium and long term trades. Andrew sits on the advisory board of The Allocated Bullion Exchange (ABX) and is a consultant and advisor to many international hedge fund managers, bullion banks, directors and metal traders globally, all of whom rely on his highly recognised field of expert market analysis and incredibly accurate ability to forecast. He shares his expert knowledge through our services on this website. 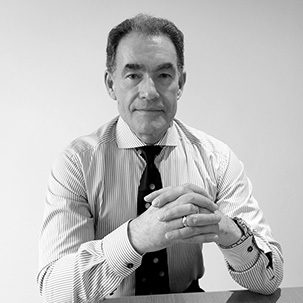 Andrew is currently advising many other legal firms who are involved in bringing to justice criminal acts within the financial world and rely on his expert advice. Andrew is the only accredited whistleblower of market abuse to US regulators. Andrew is regularly featured in international media, international documentaries and is guest speaker at conferences. Andrew’s quotes are constantly used on numerous blog sites around the world and his whistleblower evidence, constant efforts and lobbying to bring market manipulation to the attention of the world’s media is the topic inside many financial publications and paperbacks.